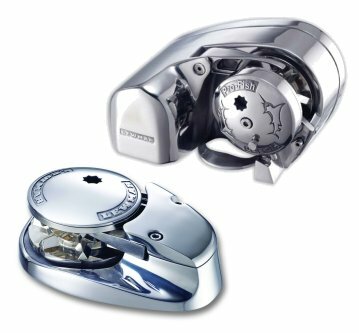 Whether you own a small fishing boat, a 100-foot cruiser or a mid-size sailboat, Lewmar has a windlass designed to fit your exact needs. Each one is crafted with durability, convenience and affordability in mind. Both vertical windlass and horizontal windlass designs are sleek and attractive to complement your boat. Use the windlass selection chart found to determine the general size of windlass to be fitted to your boat by using length and displacement. For example, if you have a 10m (33 ft) boat, typically a 270kg (600 lb) pull windlass would be selected. The rule to crosscheck your windlass selection is to add the total weight of the chain and the weight of the anchor together. Rope is very light and does not affect the actual lifting performance of the windlass, but can be factored in. For safe cruising in all types of conditions and sea areas, Lewmar recommends that you multiply the total weight of your anchor and chain x 4.